As you may already know that IGNOU has launched an Online Admission System very recently and now you can submit your application form online using the IGNOU Online admission portal. To give you more insight about the process, we're publishing this article on MbaFrog. This article will take you through the complete process of submitting your admission application online. If you're a first time applicant you're advised to click on the tab "Progremmes Available for Online Admissions" and choose the programme you want to apply for and read the complete information about the programme such as eligibility criteria, fee details, duration, etc. You can also download the common prospectus to read more about the admission process and course details. After that you need to register yourself on IGNOU online admission portal. You can visit here to fill the online registration form. After you complete the form by filling the mandatory information, click "SUBMIT" button. Your username will be instantly sent to you via e-mail and SMS. If you're already registered, you need not to register again, just click on the login button and fill your user name & password to login to the portal. Side Note: You're advised to be ready with the following scanned documents before you start the online application process. All documents should be self attested. Fee can also be paid online using debit card, credit card & net banking. If you're not logged in to the IGNOU online admission system, click on the Login Button available on the right had side on the portal and login with your user id & password. Fill personal details, programme details, qualification details, course details, and correspondence details. If your subjects are different than subjects mentioned in the online application form, click on the OTHERS checkbox. If your qualification is graduation or above, select board code 9999. Now make payment through debit/credit card or net banking. To make the payment through debit/credit card, select the Debit/Credit Card option and follow the instructions. If you've an UBI net banking account, you can make payment through Net Banking, to make payment through Net Banking select Net Banking option & you'll be redirected to bank website. After successful payment you'll be able to save/print the payment confirmation slip. Now upload scanned copy of the documents as mentioned above. Remember to self attest all the documents before scanning. We've tried to make this article as simple as possible. 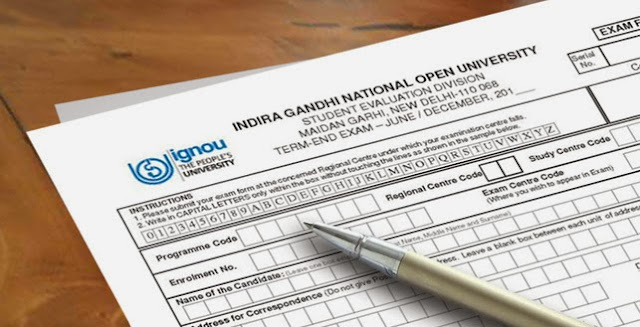 We hope this must have cleared your doubt about "How to apply for IGNOU admission online", although we suggest you to visit IGNOU online admission system and read instructions carefully before you apply for any course. You must go through the eligibility criteria, fee structure, duration and other important information before you make a decision.